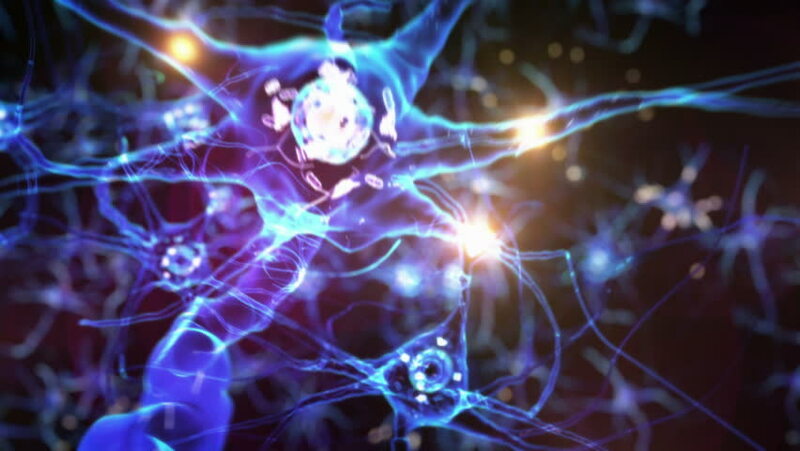 Journey through a neuron cell network inside the brain. Techno Blue. Loopable. Flying across a neuronal network, electric impulses passes by it. Synapse. More options in my portfolio.